Cybersecurity trends continue to evolve each time there’s an attack. 2018 was among the rough years for companies and individuals as the year was graced with a diverse range of accelerated threats and attacks. In 2018 alone, its largest data breach affected Exactis, a marketing and data aggregation firm in which a database containing almost 340 million personal information records was exposed. Apart from firms, a lot of people, nearly 150million had their data exposed when an Under Armour breach affected accounts of MyFitnessPal heath tracker users. AI-powered systems have made work easier while also improving productivity. With full automation and enhanced decision making, AI is taking over, and processing huge amounts of data is no longer a problem in many corporations. But as AI continues to take root in many firms, it’s also a lucrative target for many cyber-attacks. On the dark side, cybercriminals will also use AI techniques to infiltrate and attack AI-based systems. This would make there work easier as more vulnerabilities could be exploited in seconds and other sophisticated attacks propagated quickly. 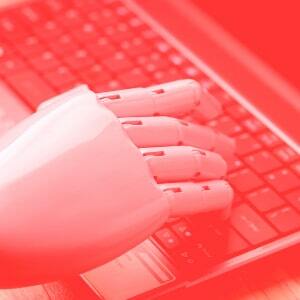 Since AI is capable of creating reality, a lot of fake campaigns which will result in phishing, social engineering, and other attacks will be on the rise. Additionally, as an emerging trend, cybercriminals will also use AI based attack toolkits to carry out stealth sophisticated target attacks. On the bright side, defenders will be able to use AI based threat identification systems to probe and identify vulnerabilities before they are exploited, threats before they happen and eventually make their enterprises almost invincible to attacks. Also, defenders can perform simulated attacks to help them anticipate and also how to effectively deal with threats if they materialize. Other AI-based applications will be used to warn users if certain actions are risky and provide solutions. For instance, AI can remind you to set up a multifactor authentication each time you set up an account. 5G deployments have already kicked off, and we are months away from seeing 5G capable devices all over the globe. Although smartphones are receiving much 5G attention, its matter of time before we see other use cases being deployed. 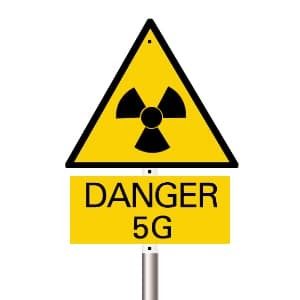 With the development of 5G cellular infrastructure, we’ll be seeing 5G routers and hotspots. This means a massive transfer of data as a 5G network is capable of 10Gbps. With these use cases, more devices such as the Internet of Things will connect directly to 5G, and this will give rise to new vulnerabilities and more direct attacks on connected devices. It will also be hard to monitor these IoTs. With the deployment of 5G, massive data transmissions and more poorly secured smart devices and other IoTs, cybercriminals will now focus on network-based attacks targeting data in transit. Using existing malware and other AI-based techniques, attackers will be able to marshal most consumer devices to do their bidding. That’s, attackers will be able to focus on the most central point of weakness where data transmission occurs, and this will be the router. Targeted router attacks can deploy malware capable of hijacking data passing through them. This malware will then steal various credentials, logins, credit card numbers and even deploy spoofed sites. This type of attack can also be modified to attack enterprises and infect network-attached devices. This can result in a number of sophisticated attacks such as altering network traffic, decrypting data, stealing credentials and also launching other malicious activities. A VPN can help you combat most of the above trends especially the ones which involve data in transit, security, and privacy. A VPN uses strong encryptions which ensure data in transit is safe from prying eyes – even your ISP won’t know what internet activities you’re carrying out on the internet. Additionally, a VPN can also hide your online identity by assigning you a virtual IP address. 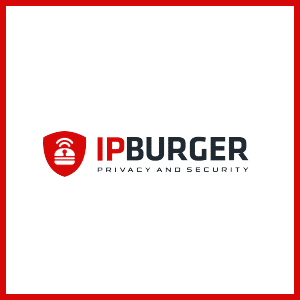 The best VPN to use is IPBurger VPN; it uses AES-256bit encryption standards, has fast servers across the globe and doesn’t log your activities.